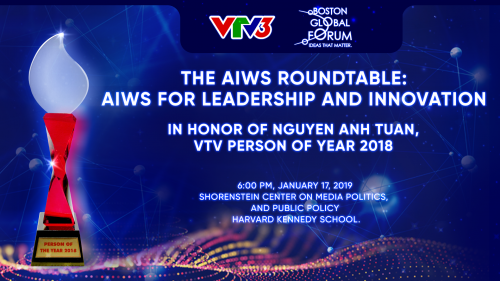 On January 17, Vietnam National Television (VTV) and Boston Global Forum (BGF) held The AIWS Roundtable discussed on AIWS for Leadership and Innovation and also honored Nguyen Anh Tuan as VTV Person of Year 2018. 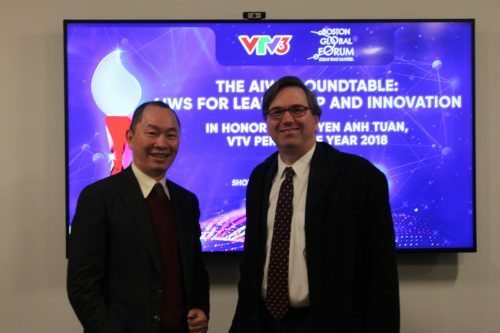 With Journalist Ta Bich Loan (VTV) and Barry Nolan (BGF) as moderators of the event, the top leaders, experts and professors gave their opinions about the near- and long-term priorities of AIWS which seeks to apply AI to improve politics and society. 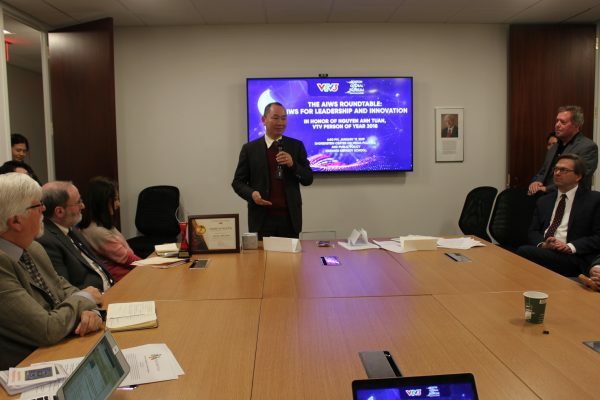 The framework also honored Nguyen Anh Tuan – the Director of The Michael Dukakis Institute for Leadership and Innovation (MDI), the Co-founder and Chief Executive Officer of The Boston Global Forum (BGF) as VTV Person of Year 2018. 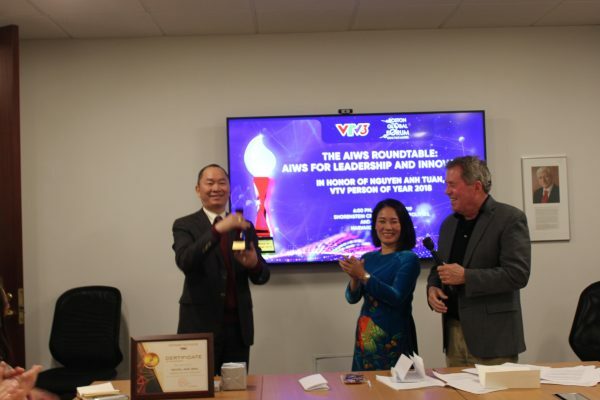 This award is for his dedication to working hard to build Artificial Intelligence World Society and AI-Government. The Award Ceremony was celebrated in honor atmosphere. Massachusetts Governor Michael Dukakis (Chairman of The Michael Dukakis Institute for Leadership and Innovation, Co-Founder, Chairman of The Board of Directors and Board of Thinkers, The Boston Global Forum) sent a letter of congratulations to Mr. Tuan with sincere compliments. Governor Michael Dukakis sent a letter of congratulations to Mr. Tuan. 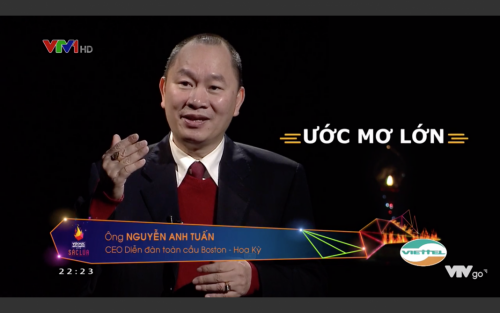 “There would be no Boston Global Forum without Tuan. 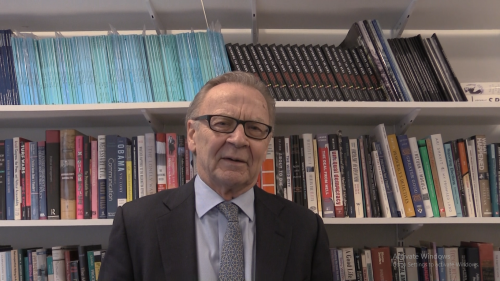 He and Tom Patterson conceived the idea, and they then asked me and John Quelch of the Harvard Business School to join them as the organization’s founders. Ever since, it’s been Tuan who has taken the lead in expanding our network of scholars, government officials, business leaders, and social activists. 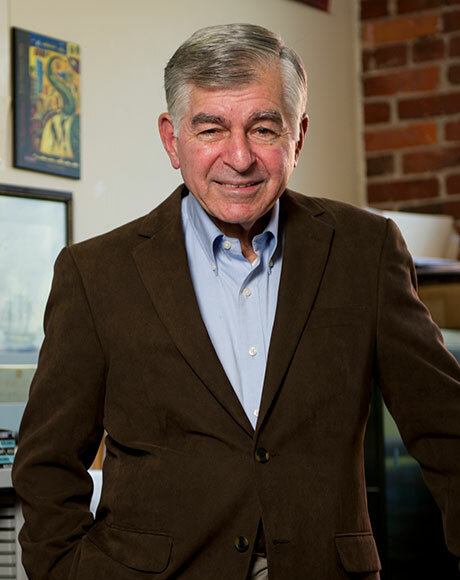 And it was Tuan, through the creation of the Michael Dukakis Institute as part of BGF, who originated and developed our path-breaking ethical initiatives in the areas of cybersecurity and artificial intelligence. She added: “Mr. Tuan was done this many times. He did in creating the first software for Dalat University, creating VietNet, Vietnam’s first internet transmission net, establishing VietNamNet, Vietnam’s first online news site. Ms. Ta Bich Loan – the Director of Vietnam Televisions VTV3 Channel and one of Vietnam’s top 50 most influential women 2017. “You are that rare visionary who is skilled at giving life to a vision,” said Mr. Nicco Mele about Nguyen Anh Tuan. 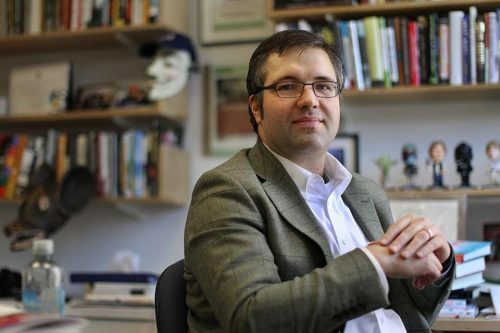 Although being unable to attend the event, Professor Tom Patterson (Co-Founder and Member of Board of Directors, Boston Global Forum, and Research Director of The Michael Dukakis Institute for Leadership and Innovation) sent his congratulations and shared their long-term partner through a video. Through the extremely meaningful event, our special character – Mr. Tuan was deeply moved by the feelings of his colleagues during the working process. He was extremely grateful and gave his deep thanks to his friends who have supported him during BGF’s six years. He also appreciated his colleagues at VietNamNet and said thank to VTV for this recognition and honor.